It’s a fantastic issue to have: way too much gear out there! And for what it’s worth we want to offer our opinions on just a few pieces of gear you may find helpful for your next camera. Canon’s Rebel cameras have become a great beginner standard for sub $1k. You don’t break the bank but have gear that will inspire you. We recommend the T6. Having said that, we often tell true beginners they should work with what they already have: as in their phone. Phones these days have far better video capabilities and sensors than they used to. And it let’s you figure out both how to shoot and if you enjoy it without breaking the bank. So don’t overlook that! DJI. DJI. What they are doing is just so cool on all 3 of these performance levels: beginner, amateur, pro. Check out the OSMO for gimbal and camera that are affordable and portable. Or the Ronin M for a bit larger system. And boy do they do drones. The newer Phantoms (like this one) have some amazing looking footage. As for camera the Panasonic Lumix or the Sony A7s are great for just around the $2k mark. And they get really nice footage (and photos!). We love Canon because they prioritize image quality, which at the end of the day we believe to be the king in video. Other companies give a lot of bang for your buck too. Sony, Panasonic, Black Magic give tons of specs that may be important to your project like fast frame rates. We currently are shopping a camera for better slow motion for example. But overall for workhorses, image quality, and dependability we love the Canon Cinema series. 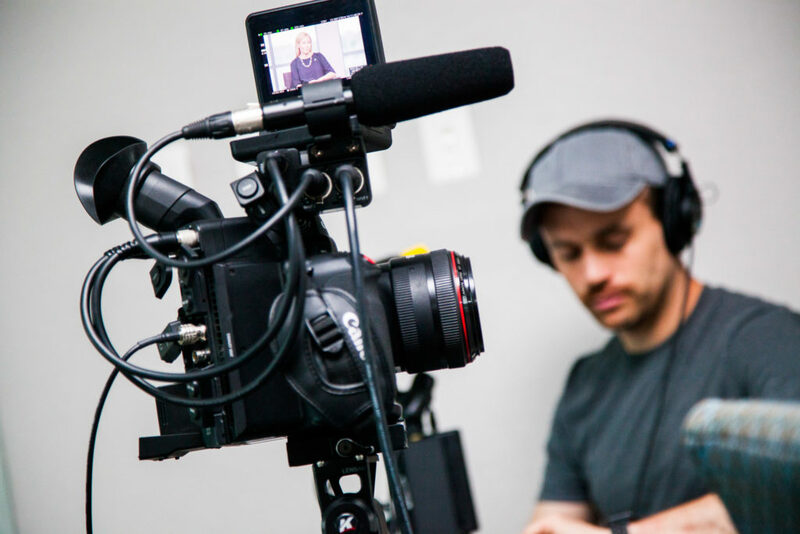 We lean heavily upon the C100, C200, and C300 for our projects depending on need and use. An EF mount is a pretty expected thing nowadays so you can get some killer glass as well. We just love Sigma’s new Cine-series for lenses. Have favorite gear of your own? Let us know.